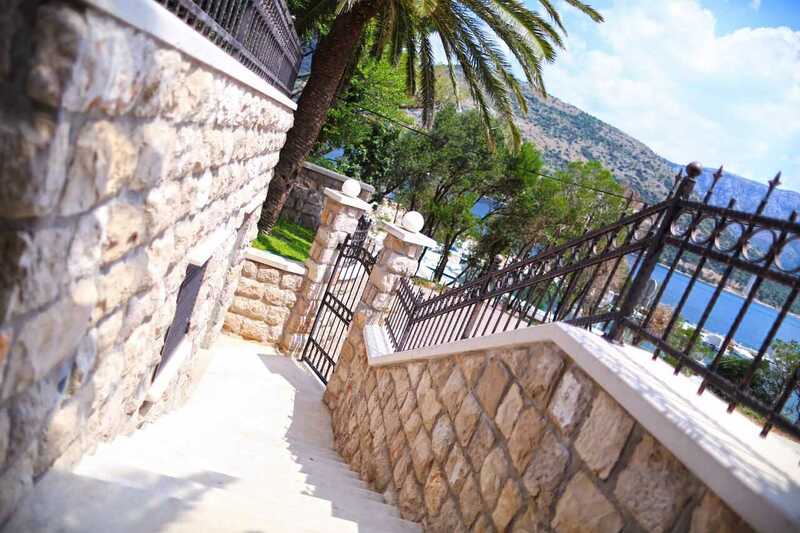 Surrounded by ancient olive trees, impressive palms, thick laurel shrubs and citrus trees on the crystal clear Adriatic Sea lies the Luxury Dubrovnik Villa with pool, privacy, by the sea. 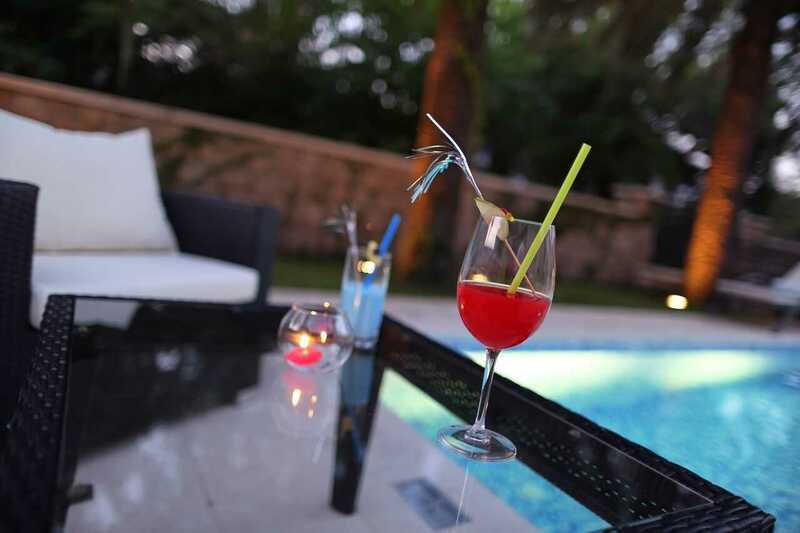 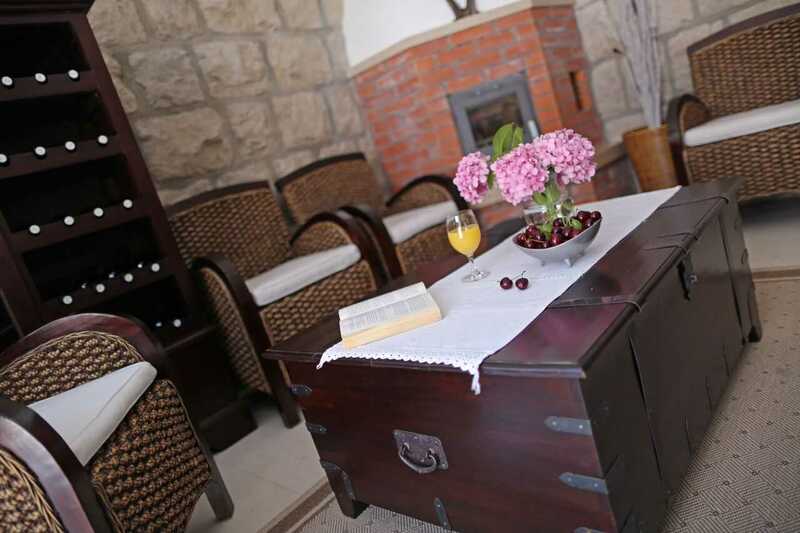 Seemingly a million miles away from the hustle and bustle the city and yet surprisingly close by, Luxury Dubrovnik Villa offers guests the perfect opportunity for a relaxed break. 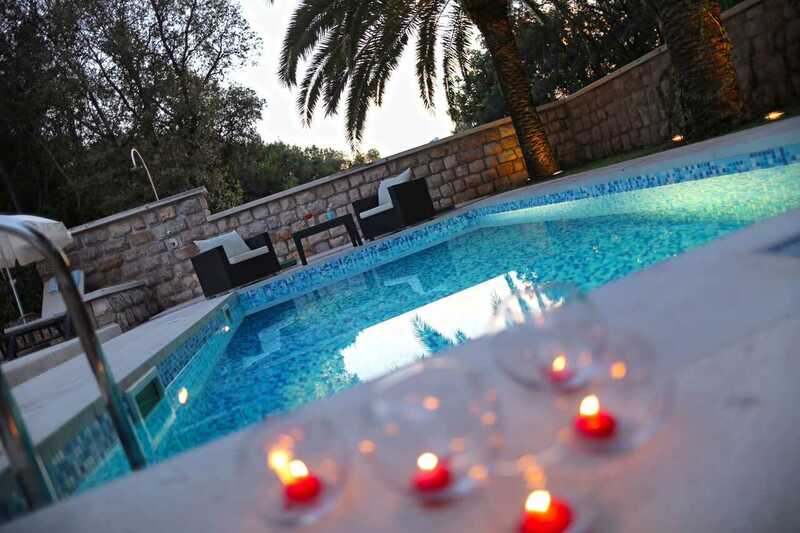 This meticulously renovated luxury villa in Dubrovnik with pool presents exceptional comfort with a total of five fully climate controlled rooms located over three levels. 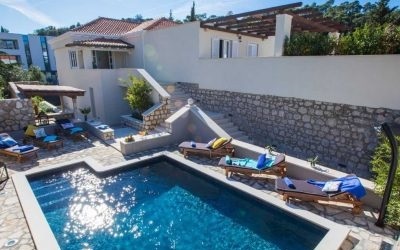 Luxury Dubrovnik Villa with pool is open all year round for guests and is the perfect destination for families or larger groups. 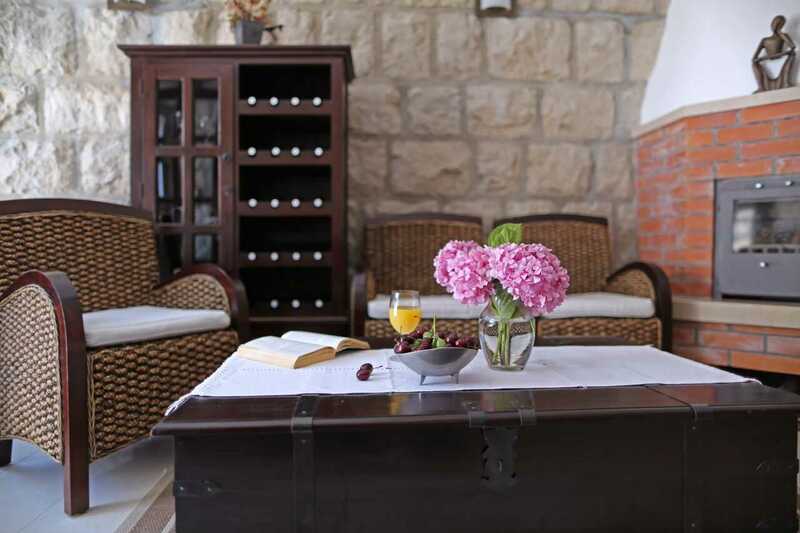 Great care and attention has been given to the interior design of the villa and there is a true Mediterranean feel with light colours and tasteful furnishings. 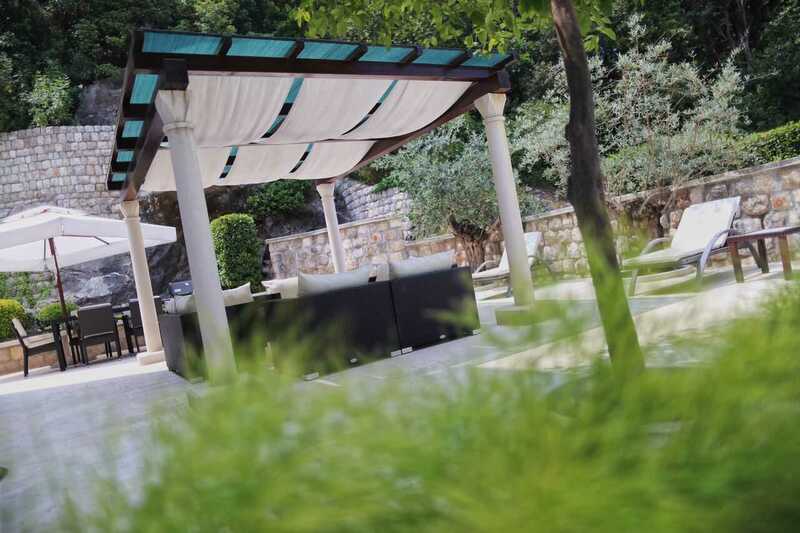 The whole villa in Dubrovnik Croatia is surrounded by an extensive and luscious garden with terraces areas of differing sizes and over differing levels that can be utilized in many ways. 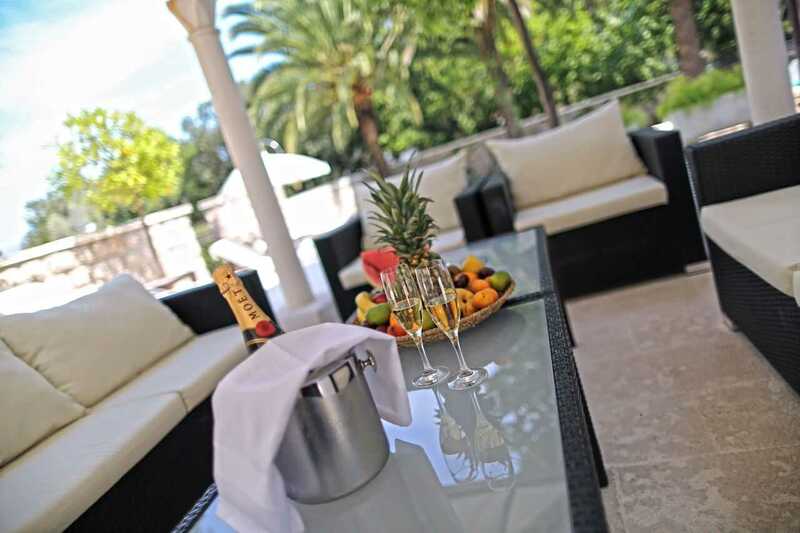 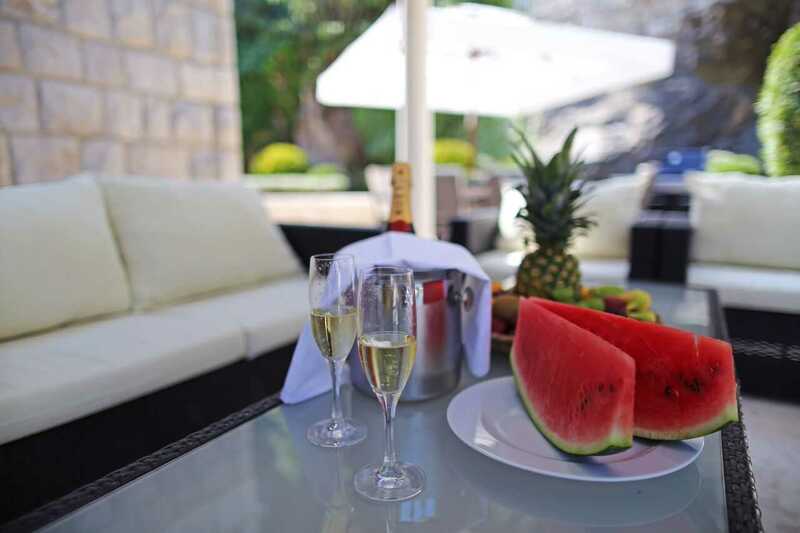 Breakfast in the morning on the main front terrace in the sun, a party on the large back terrace or lunch around the pool area of this splendid luxury villa in Croatia, the choice is yours. 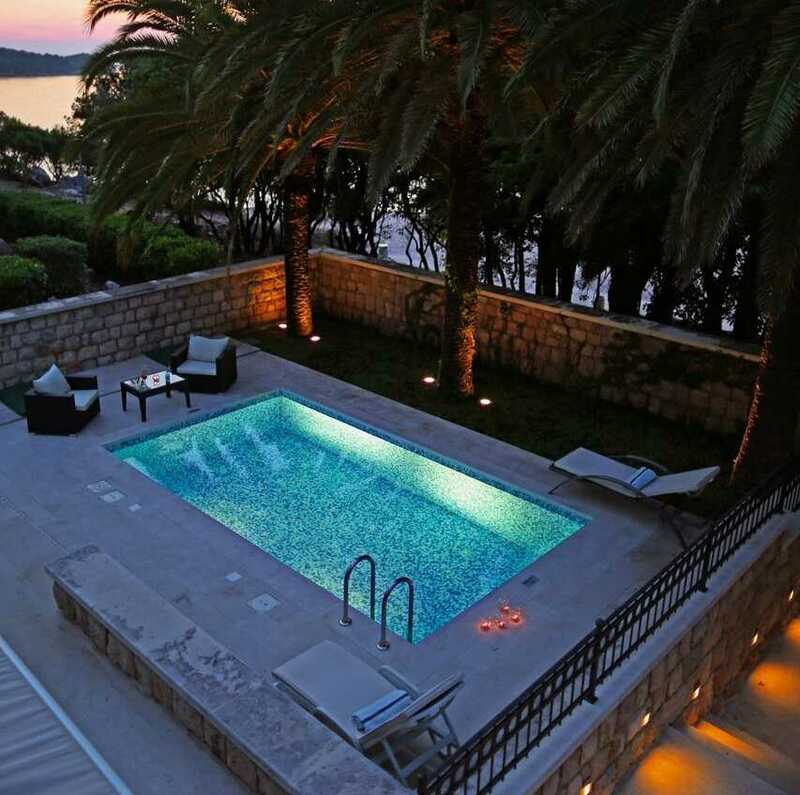 The luxury villa in Croatia inviting swimming pool is ideal for keeping cool during Croatia’s warm summer months and lies partly in the shade of soaring palm trees. 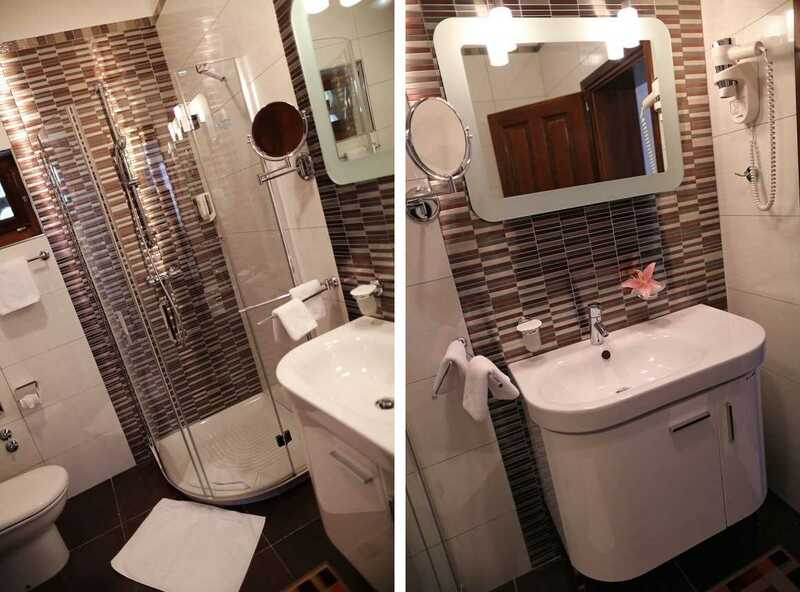 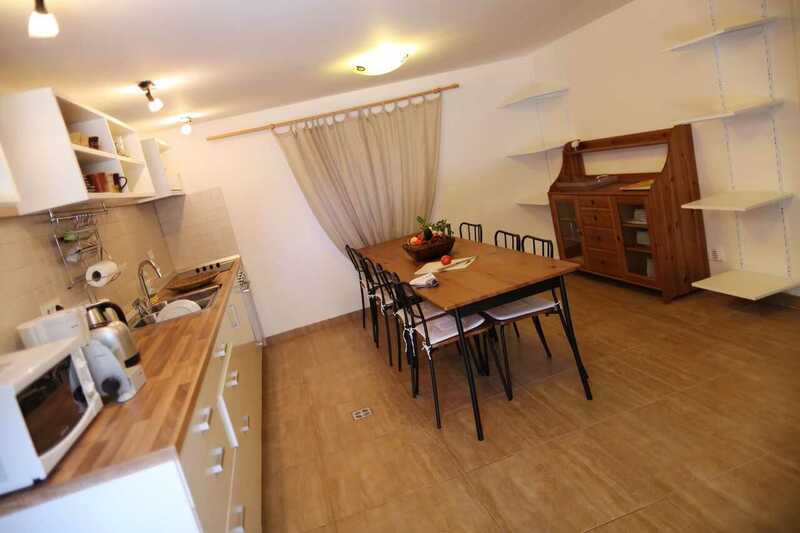 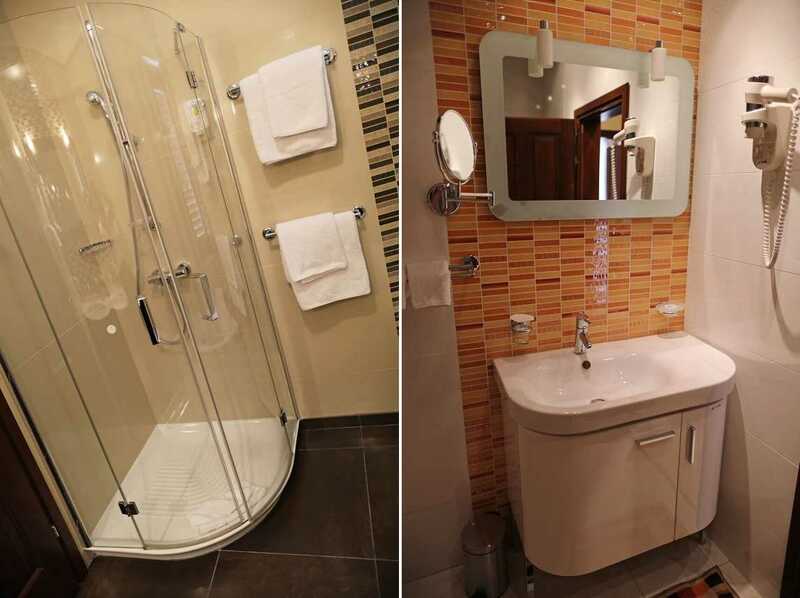 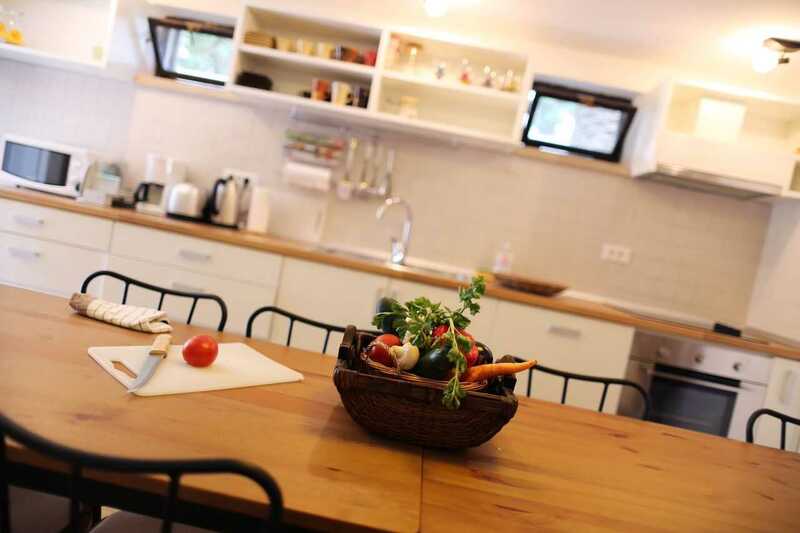 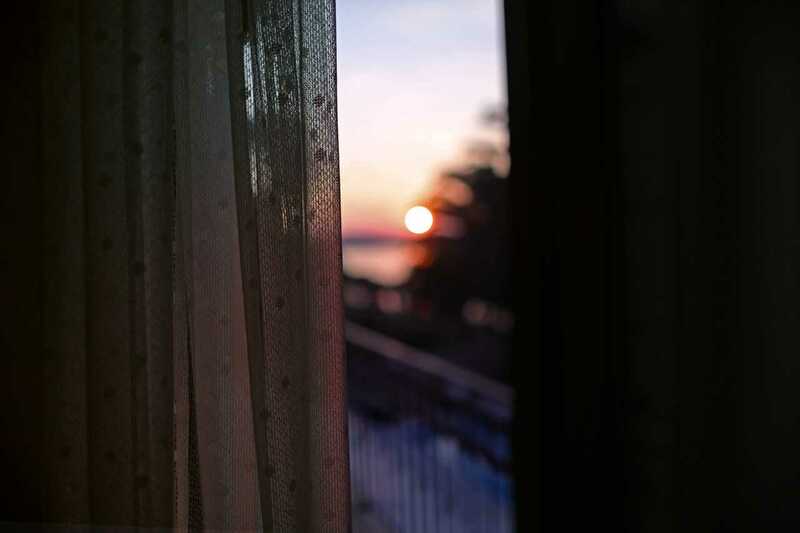 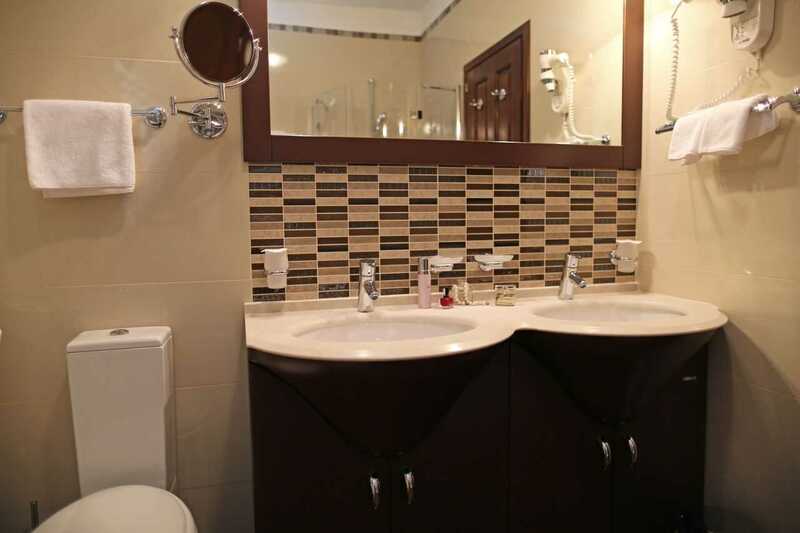 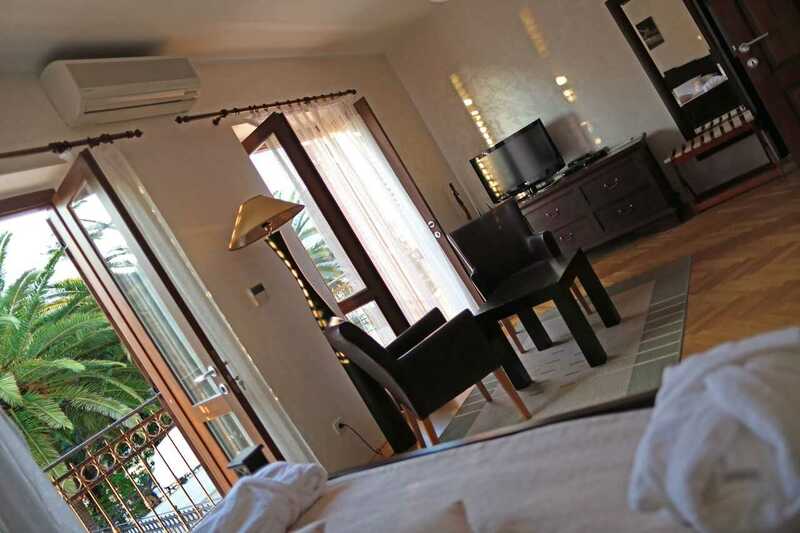 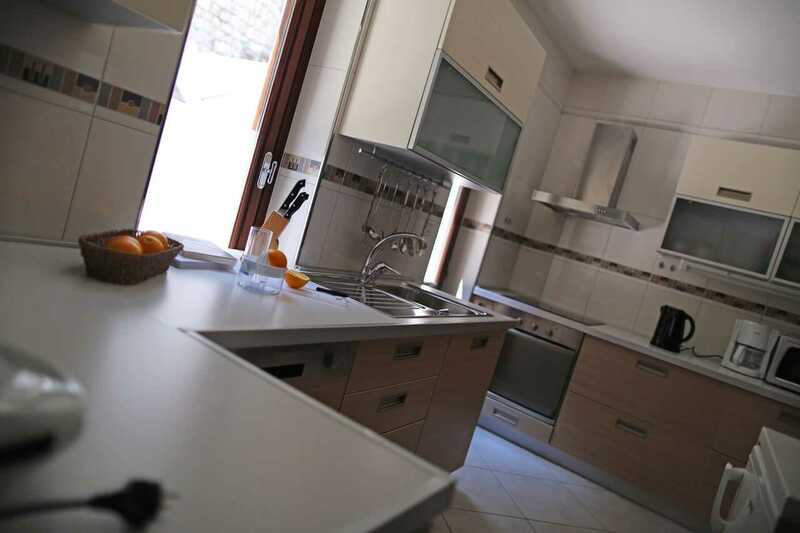 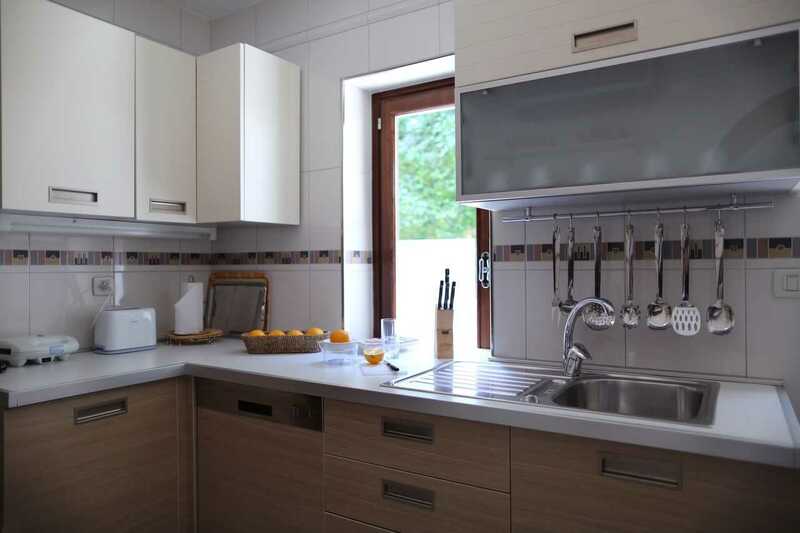 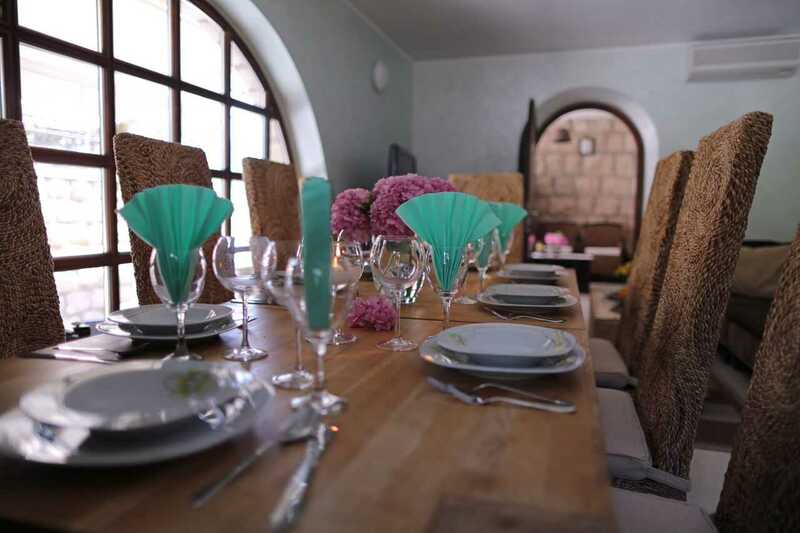 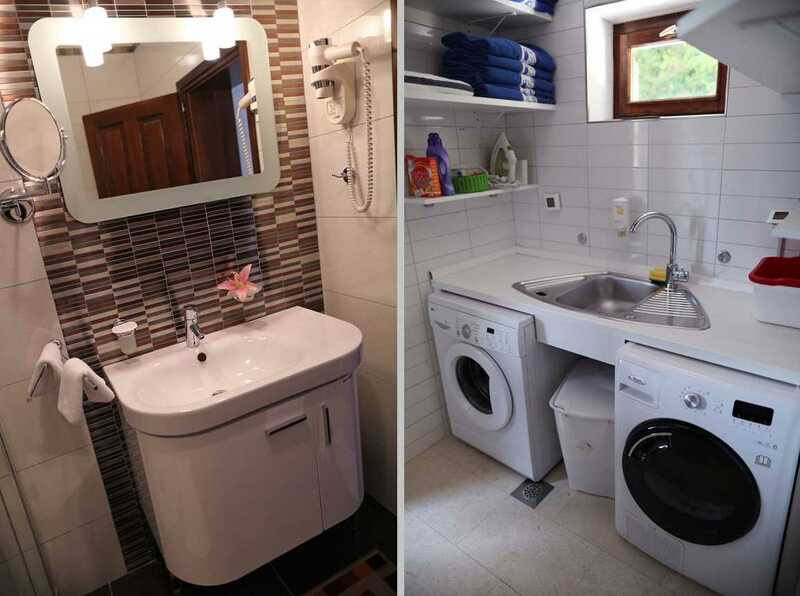 And along with the comforts of the villa there are also all the accompanying services that one would expect of such luxury accommodation in Dubrovnik. 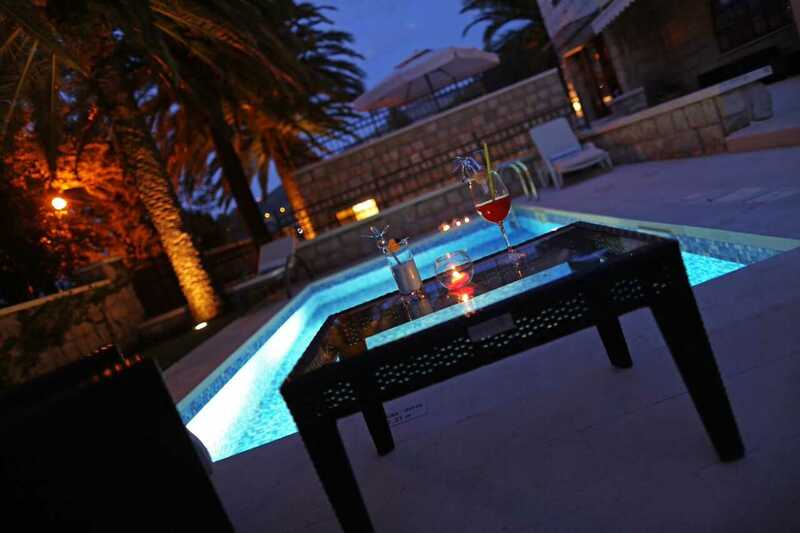 As this luxury Dubrovnik villa with pool is only a few metres from the sea there is a choice of several beaches in the immediate vicinity. 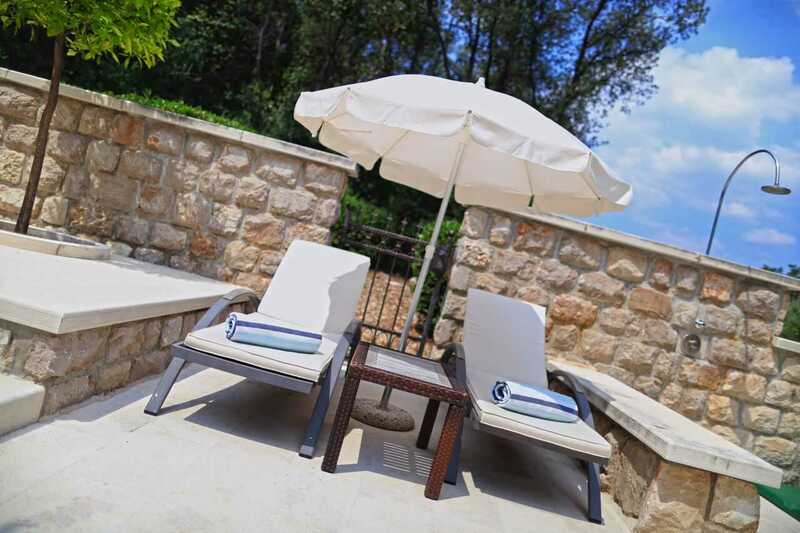 Just a few steps away from the villa you will find a sheltered beach with sun beds and sun umbrellas. 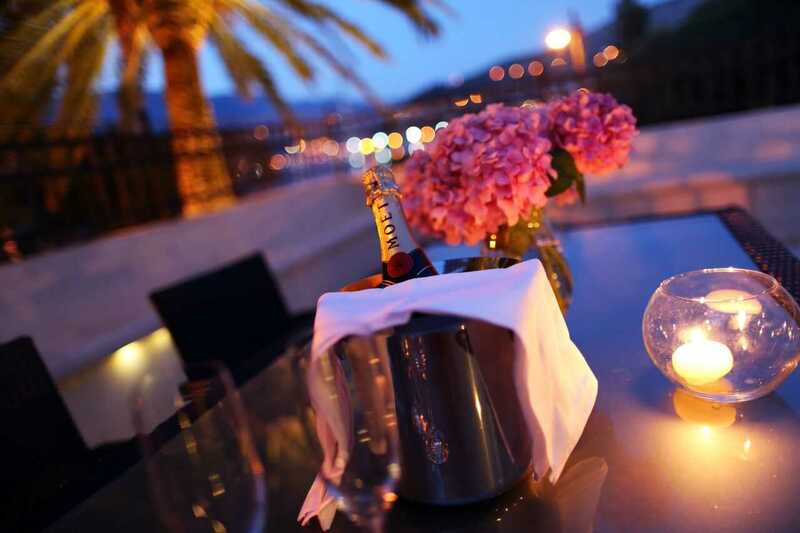 For those looking to explore Dubrovnik and its picturesque countryside there is the possibility to rent a car, speedboat or even a yacht for an additional price. 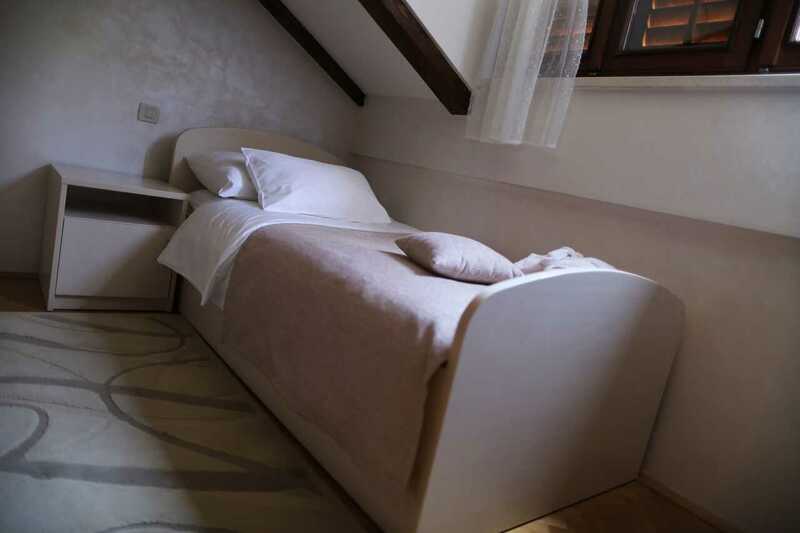 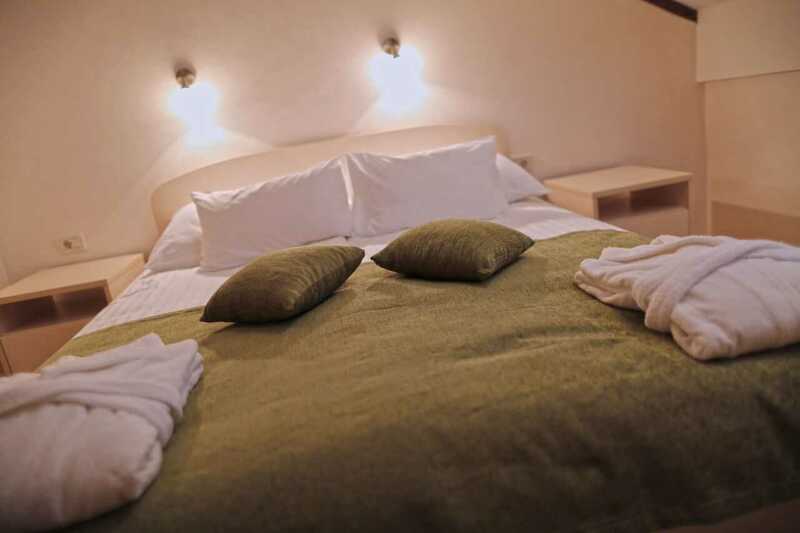 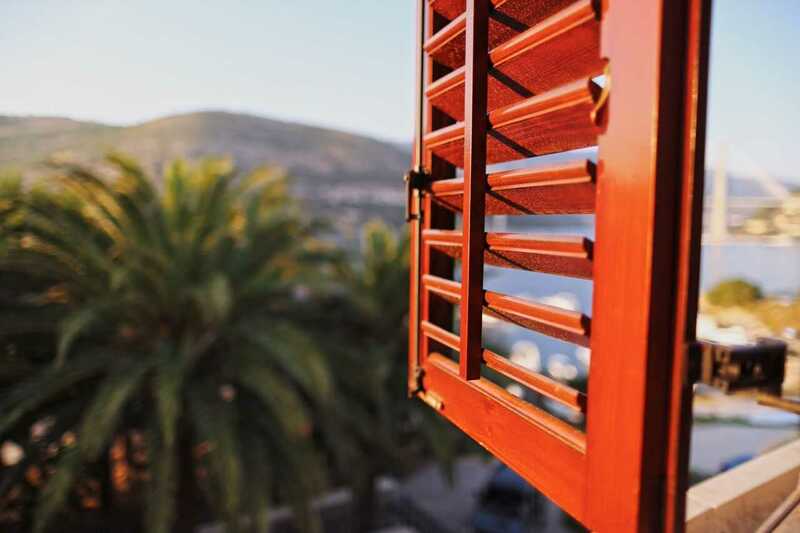 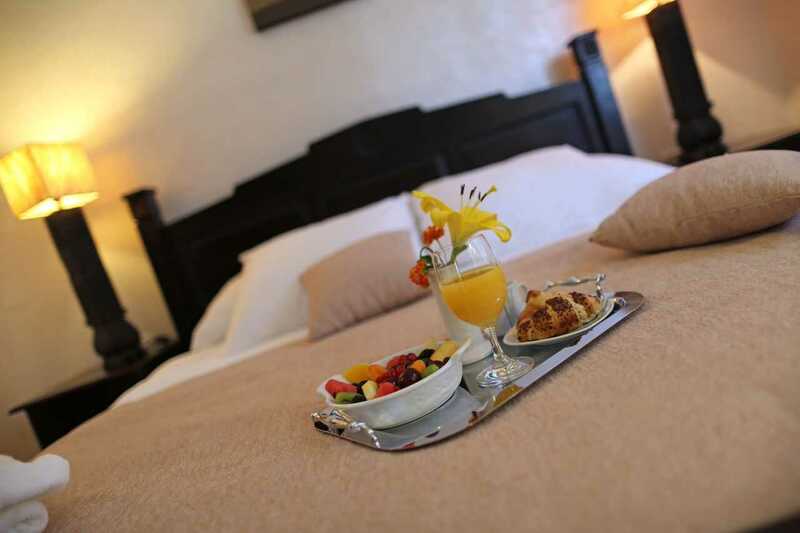 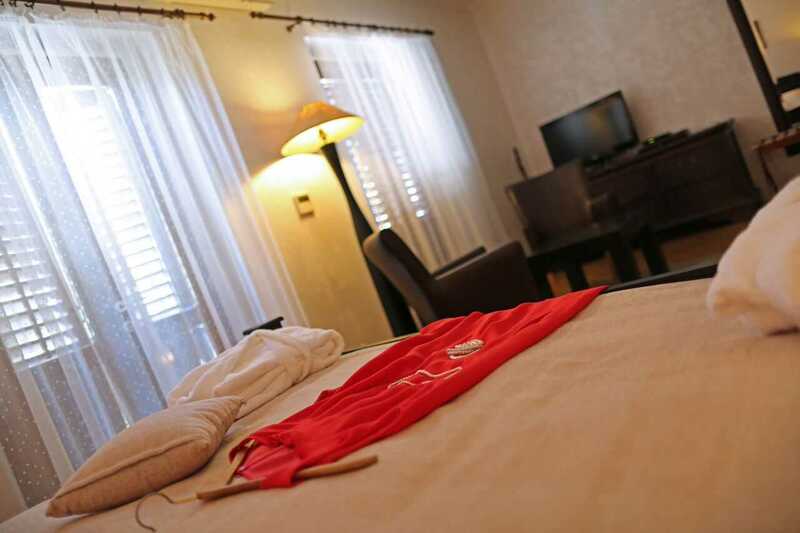 Our meticulously renovated luxury Dubrovnik villa accommodation presents the height of comfort with a total of five rooms located over three levels, with air-conditioning and central heating. 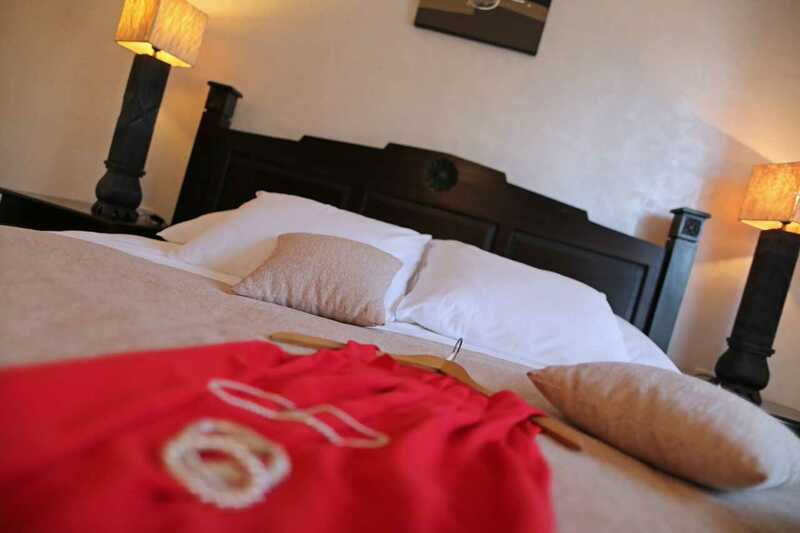 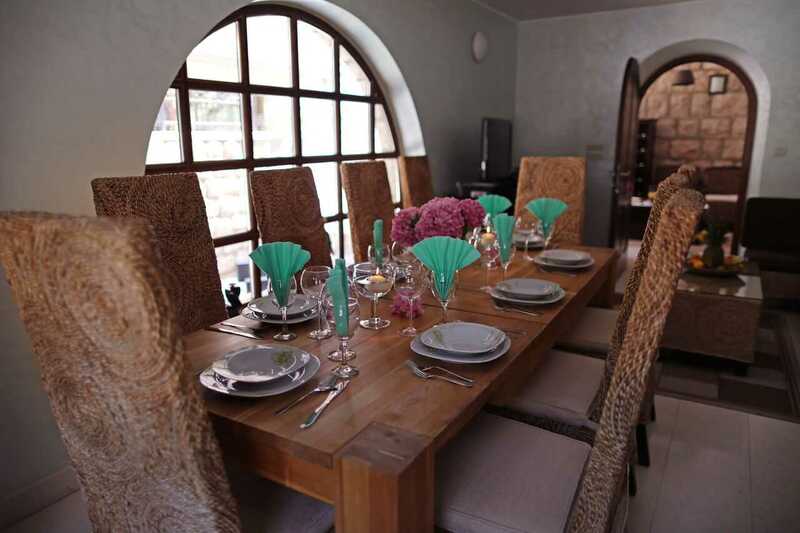 The ground floor has a spacious dining room, living room, reception room, kitchen and toilet. 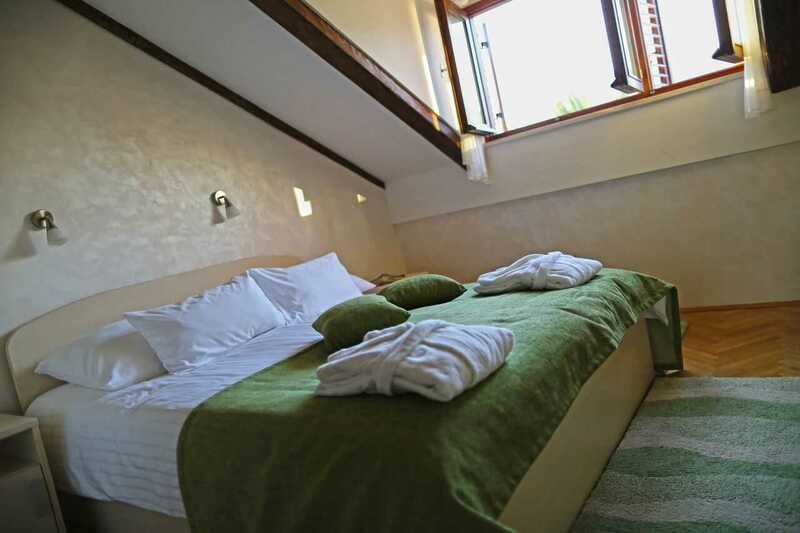 On the first floor are the two master bedrooms that both have en-suite bathrooms and pleasant views. 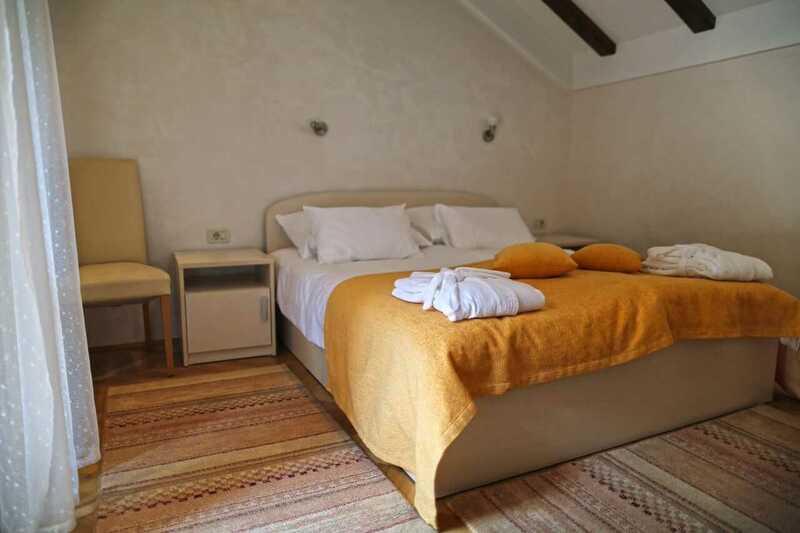 And finally the attic floor has three more bedrooms and a roomy bathroom. 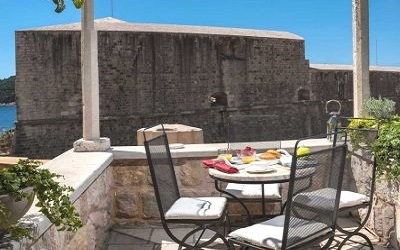 In addition to the daily maid service, gardens and pool maintenance, Villa has at our disposal a ten seat speed boat with a skipper and crew that can pick up our guests near Villa to rent in Dubrovnik and take them wherever they would like to go, whether to the historical old town of Dubrovnik, or one of the many enchanting islands that surrounds the city. 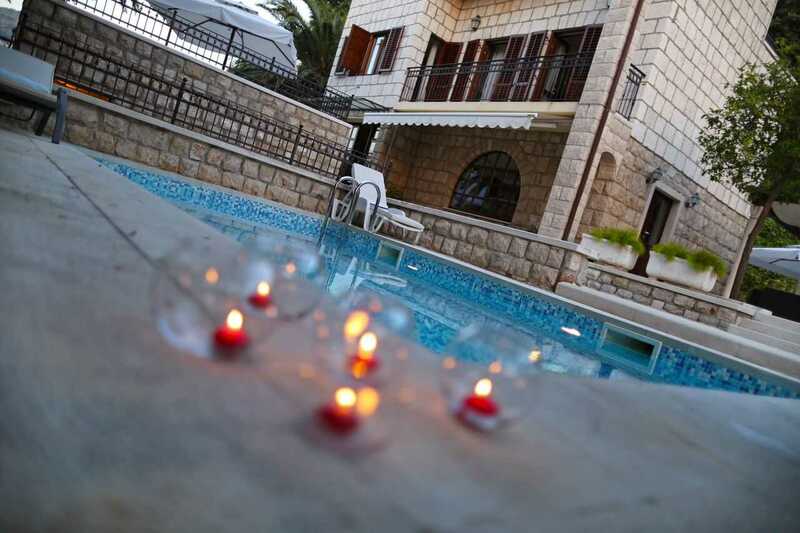 Luxury Dubrovnik Villa with pool, privacy, by the sea has also access to a minibus for up to seven people. 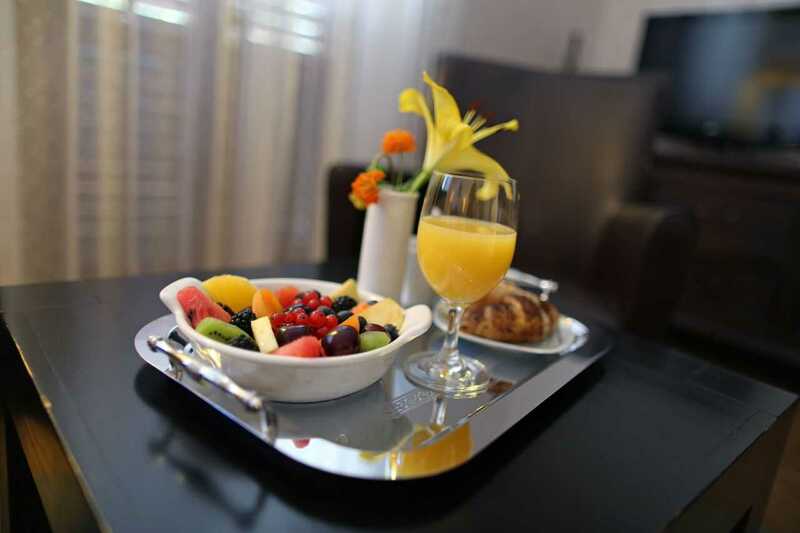 Let us arrange custom programs for your vacation on demand. 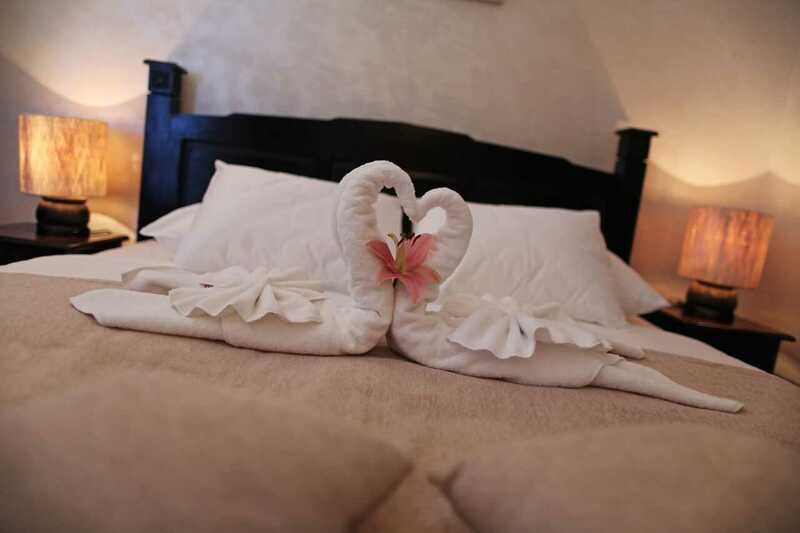 We’re Pet Friendly and we strive to offer our guests and their furry friends a comfortable stay, in accordance of Our Pet Policies and Guidelines.